If you sell beauty products, it’s smart to actually use the products you are selling. It just makes good cents! lol Just thought I’d throw that in since I DO sell Avon online. Foundation – Blending is the most important when applying foundation. You don’t need a line separating your forehead and the beginning of your scalp. So blending is key in that area. The other area for blending is your neck. You sure don’t want a line that separates your face, chin and neck. Blend, blend, and blend some more! Use a separate brush just for blending. Fair Skin Tips – Using a bronzer helps a great deal with fair skinned women. 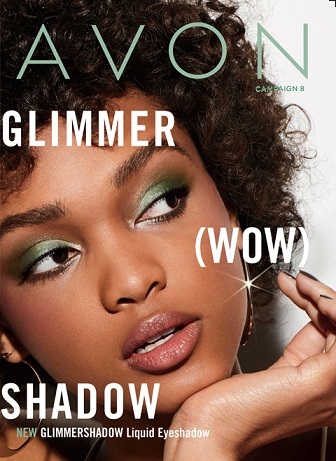 I’m just now discovering bronzers along with selling Avon. Catch all the makeup products and sales Here! Lips and Shine – Most often, lip gloss, (and sometimes lipstick) can make your lips sticky. If you’ve had sticky lip experience, try using petroleum jelly on them. It conditions them and makes them soft and shiny. It’s great for the cold winter months. Small Eyes – To help your eyes stand out more, use a pale, but shiny eye shadow in the middle of your eyelid. Use that same shadow and apply it to lower lids. * If you have a large nose, (or think you have one), always use oil-free foundation. * Focus on making your eyes pop out with winged-out eye liner, eye lash curler, and mascara. * Part your hair on the side, or get a new hair cut and style. Explain to the salon expert that you want to draw attention AWAY from your nose. * Try contouring with foundation and an angled brush to use a darker shade along the sides of your nose. Eyebrows – I’ve always hated tweezing my eyebrows. I’ve even shaved them. Boy did I ever get frowned upon when I told the nail place that I shaved my brows. While searching for beauty tips for my browse, I found a gem. Take a hot shower before tweezing your eyebrows. It makes it a lot easier and also the shape forms better. Eye Shadow Tip – Begin your eye shadow with a base color that matches your skin tone for your lids. DO NOT use foundation. The foundation creases there if you use it on your lids. Always begin eye shadow with base color so that your shadow color will last longer.